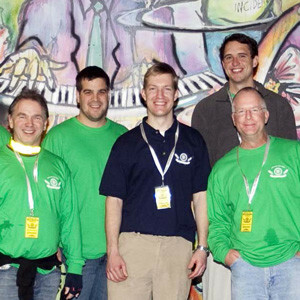 NWA produced the inaugural Queen City Brewers Festival (QCBF) which premiered at the Neighborhood Theatre in February 2012 to spotlight Charlotte, North Carolina’s emerging craft breweries. Over the last 5 years, NWA has developed the event to become ACEing Autism-Charlotte’s signature winter fundraiser, enabling more families affected by autism to have access to specialized tennis programs as a way to enhance their children’s physical fitness, social skills and quality of life. On Saturday, February 2, 2019, QCBF returns to The Fillmore located at the AvidXchange Music Factory. Planning is underway for NWA to deliver its second signature event summer 2020. Prior to founding NWA, Nils spent over 8 years as a sales and marketing executive with the NHL’s Boston Bruins and NBA’s Boston Celtics and Charlotte Bobcats (now Hornets). Nils holds a Bachelor’s degree in Business Administration from the University of Vermont where he played Division I Men’s Tennis. He and his wife and their three children reside part of the year in Charlotte, NC and part of it in Cranston, RI.